Be the first to share your favorite memory, photo or story of Mildred . This memorial page is dedicated for family, friends and future generations to celebrate the life of their loved one. 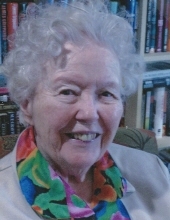 Mildred M. Ward – Age 92, beloved wife of John J. Ward died Monday April 15th at her home at Billerica Crossings Senior Living with her family at her side. John and Millie would have celebrated their 70th wedding anniversary on May 28, 2019. Mildred was born in Malden on October 17, 1926, daughter of the late George and Anna (Breen) Meehan. She grew up in Malden and was a resident of Burlington for 60 years before moving to Billerica four years ago. Mrs. Ward was an active member of the St. Malachy’s Church in Burlington, serving as a Eucharistic Minister. She enjoyed spending time with her family, especially her three sisters, two children, three grandchildren, twenty-one nieces and nephews, and many friends. Besides her husband, Mrs. Ward is survived by her son, Michael Ward and his wife Karla of Nashua, NH; her sister, Charlotte O’Neil of Woburn; and her three grandchildren, Katie Ward Clegg and her husband Barry of Cambridge, MA; Diana Dresser and her husband John of Swanzey, NH; and Lacie Ward of San Diego, CA. She was the mother of the late Laurie Ward and sister of the late Loretta Mullins and Ruth Everton. "Email Address" would like to share the life celebration of Mildred M. Ward. Click on the "link" to go to share a favorite memory or leave a condolence message for the family.